Size: Calligraphy space is 4.25" x 5.75". 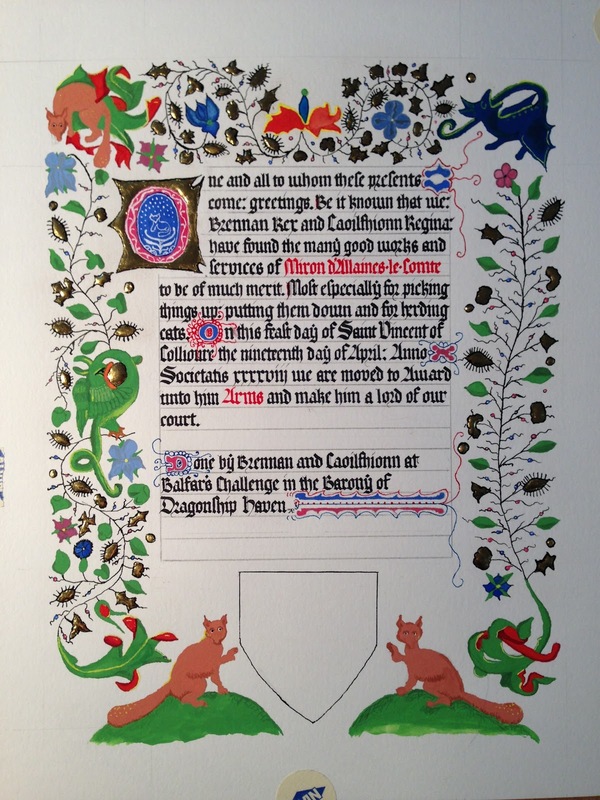 This project was my wife's second Court scroll assignment. I assisted by penning the calligraphy for her. She learned that Miron had a special love for foxes and dragons, so she scoured through the Hours to find examples of each to use as inspiration. We attended the event where this was given out, and happily, Miron seemed to be smitten with the scroll. 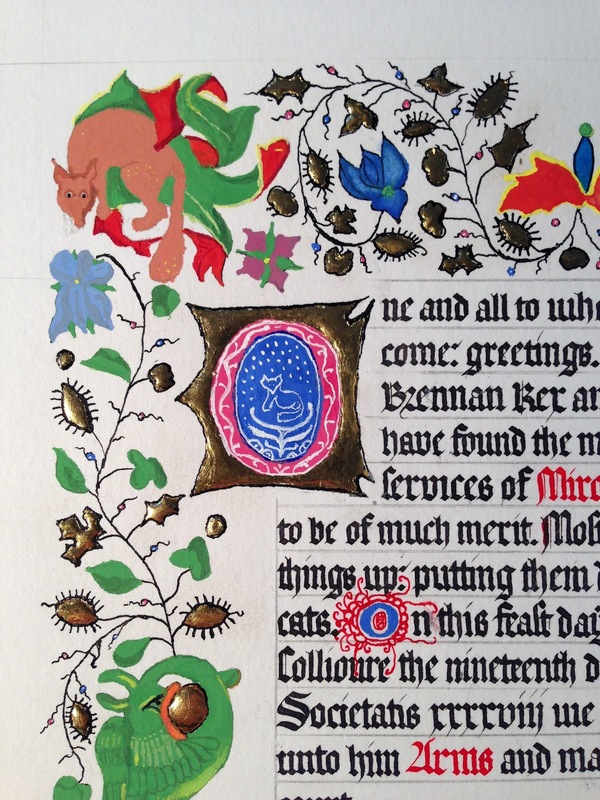 My practice page, trying to match the letter shapes from the source. past the right guideline, so I started over. 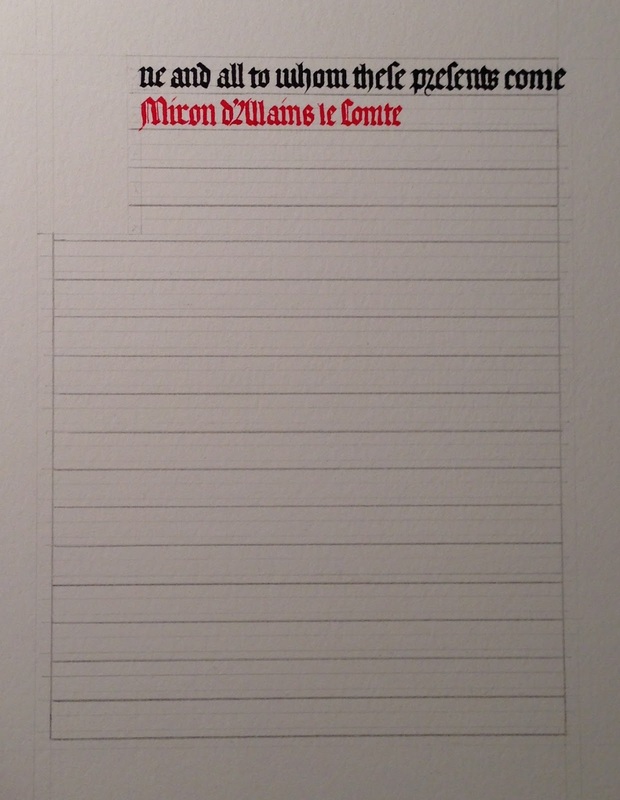 I later added Miron's name to test the red ink. 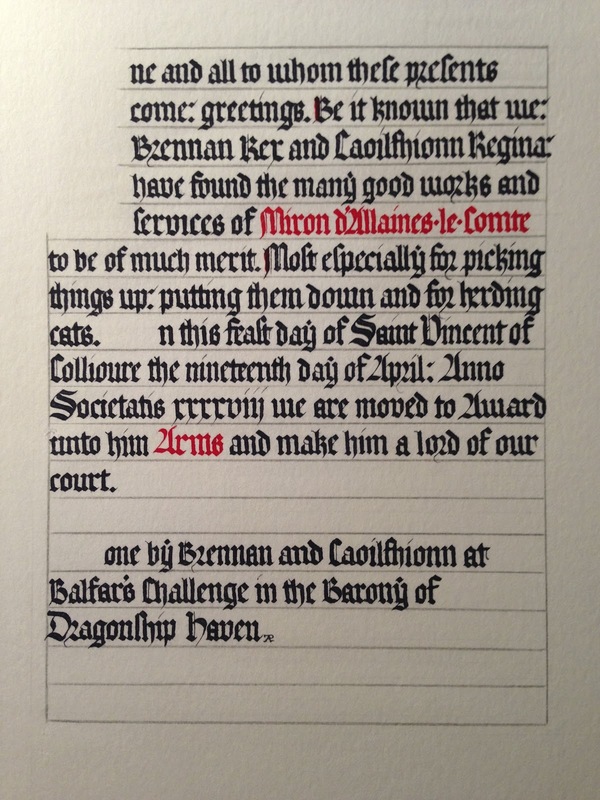 The finished calligraphy, before paint. The guidelines left on the page were drawn in with a lead-tin plummet. Details of some of Adrienne's paint and gold leaf.